Naomi Louise Tipton, 75, of Dayton died Friday afternoon, April 20, 2018, at her home. She was born March 30, 1943, in Dayton to the late Jess Mickel and Nola (Webb) Mickel. She was also preceded in death by her brothers: Jess Mickel Jr., Melvin Mickel, Johnny Mickel, and her sister Maxine Mickel. Naomi was a resident of Dayton for most of her life. 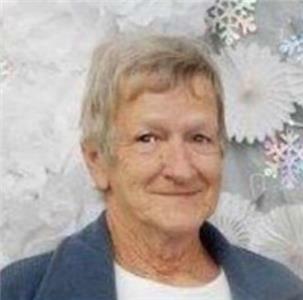 She was a cook for area restaurants for many years and enjoyed gardening, fishing and camping. She is survived by her husband of 57 years, Russell Tipton; her two sons, Rusty (Mandie) Tipton and John (Jan) Tipton; six grandchildren: Jesse Tipton, Joey Tipton, Cayden Tipton, Macie Brown, John Tipton II, Jordon Tipton; one great-granddaughter Nora Tipton; two sisters, Rosalee Hawkins and Margaret (Joe) Yearwood, all of Dayton. Funeral services for Naomi will be held on Monday, April 23, at 11 a.m. in the funeral home chapel with Reverend Clyde Fitzgerald and Reverend Mike Sneed officiating. She will be laid to rest in Buttram Cemetery in Dayton. Please share your memories of Naomi on her online guest register at www.vanderwallfh.com. The family is being cared for by the Vanderwall Funeral Home in Dayton where they will receive family and friends on Sunday, April 22, from 2-6 p.m.